Japan released the Leading Indicators, Average Cash Earnings y/y and Coincident Index Prel and the US will publish some Economic Data such as Consumer Credit m/m, 30-y Bond Auction, Crude Oil Inventories and Mortgage Delinquencies. 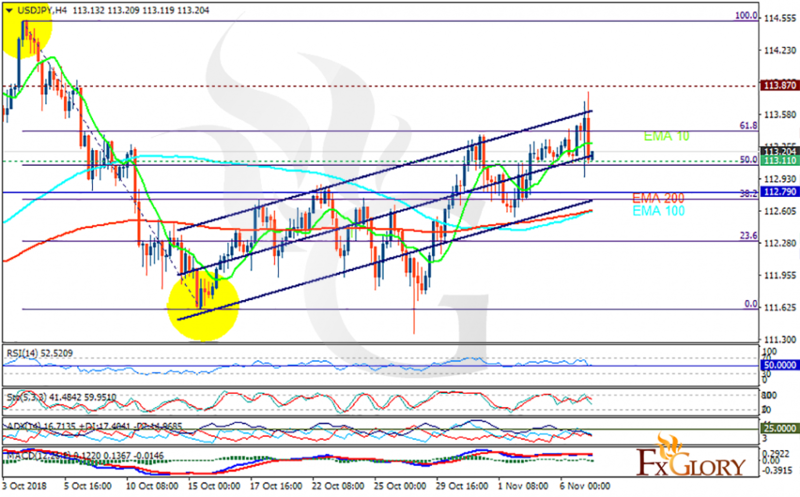 The support rests at 113.110 with resistance at 113.870 which both lines are above the weekly pivot point at 112.790. The EMA of 10 is moving with bullish bias in the ascendant channel and it is above the EMA of 100 and the EMA of 200. The RSI is moving on the 50 level, the Stochastic is showing downward momentum and the MACD line is below the signal line in the negative territory. The ADX is not showing any clear signals. The support level break through will push the pair down towards 112.8.